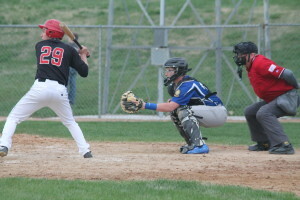 Winner/Colome baseball team defeated Chamberlain 9-1 April 18 at Leahy Bowl in Winner. Drew DeMers earned the win pitching five innings and giving up 1 run on 3 hits 3 walks and 4 strikeouts. Riley Calhoon pitched the last two innings and give up no run, no hits, no walks and had five strikeouts. At the plate, Calhoon had 3 singles, 2 runs scored, 2 RBIs and 3 stolen bases. DeMers had 2 singles and 2 RBIs. Holden Thieman and Levi McClanahan each had doubles. 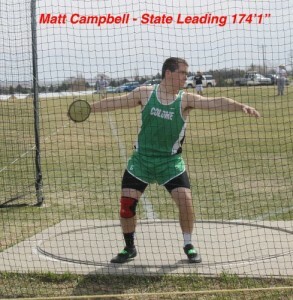 Matt Campbell unleashed a huge discus throw at the Freeman Flyer Invitational on April 20. The Colome senior won first place with a throw of 174-1, setting a new Colome school record. This is Campbell’s personal best and he is leading the state in all classes in the discus. The Cowboys placed fourth at the meet. The Colome girls placed sixth. 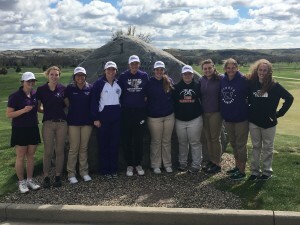 Winner Area golf team won the Big Dakota tournament in Pierre on April 20. Ronae Klein led the Lady Warriors as she placed second with a 96. Liz Jankauskas took 5th with a 98; Addy Root, 6th, 100; Sam Marts, 7th, 102 and Cheyenne Dougherty, 9th, 115. The next meet be April 28 at Gregory. Patrick James O’Bryan was born April 10, 1931 at the homestead in Mellette County near Wood, SD to Boyd M. and Theodoshia “Doshia” [Eastin] O’Bryan. The family lived here for a few years then moving to another place in the same area. 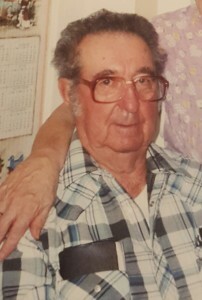 Pat attended country schools for the lower grades, then went to Winner High School for two years and continuing at Colome High School for the following two years, graduating in 1949. Pat worked on area farms and ranches for a few years before enlisting in the United States Army and serving in Korea. When he returned from his military service he married Ethel E. Steele in Clearfield, SD in the summer of 1954. One daughter, Lorinda Lou was born to this marriage in 1958. Pat worked on area farms and ranches in Tripp County until 1963 when he bought a ranch north of Hot Springs, SD bordering the Wind Cave National Park. He worked part-time as a bartender for about 4 years in Hot Springs while ranching and then worked on road construction in South Dakota and Wyoming. Pat was divorced in 1969. In 1973 he married Carole A. Fleming in Rawlings, WY where they worked on road construction for a few years. In 1982 the bought a bar, restaurant, and campground [Pat’s Place] south of Hill City, SD which they operated for 10 years. In 1992 they sold Pats Place and semi-retired back to the ranch north of Hot Springs. They then bought a bar in Hot Springs called the Red Eye Saloon and ran it for a few years until they sold it and moved back to the ranch full-time. He sold the ranch in 1996 and they moved into a house in Hot Springs. Pat was a lifetime member of the American Legion holding numerous offices in the organization. He was also a member of the 40/8 organization where he also held many offices including Nationals Grand Locale. He was a lifetime member of the V.F. W. and a member of the Eagles, both in Rapid City. 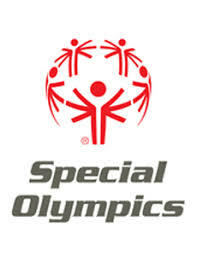 The Mission spring games of the Special Olympics of South Dakota will be held April 26 in Mission from 12:30 to 3:30 p.m. The Mission area incudes athletes from Batesland, Gregory, Jones County, Mission, Pine Ridge, Rockyford, St. Francis, Winner and surrounding communities. There will be approximately 105 participants at this event. The state summer games will be in Spearfish May 18-20. 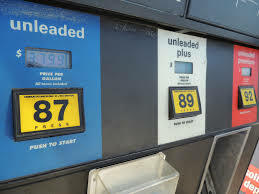 South Dakota’s average pump price has risen four cents over the week and dropped one cent from yesterday after rising for much of April, according to GasPrices.AAA.com. Today’s national average price for a gallon of regular unleaded gasoline is at its highest price this year and has now increased for 20 consecutive days. Pump prices in 43 states and Washington D.C. have moved higher over the last week. This increase was most prevalent in the East Coast region where refiners wrapped up seasonal turnaround resulting in significant prices increases last week. A Winner band has been chosen to be inducted into the South Dakota Rock and Roll Music Hall of Fame. The Fabulous Unknowns of Winner will be inducted on April 22 at the Ramkota Exhibit Hall in Sioux Falls. Originally called the Fabulous Unknown, this Winner band began rehearsing in the summer of 1972 and the initial band members were: Dave Hosek on trumpet, keyboards and vocals; Curt Hoffer on keyboards, guitar and vocals; Jim Nelson on bass guitar and vocals; Rob Taylor on guitar, trumpet, tenor sax and vocals; Tim Obert on trap set, guitar and vocals; Terry Pospisil replaced Nelson in the autumn of 1972. Taylor and Obert were from Colorado Springs, Colo., and the rest were from Winner. Many of their fans called them the Unknowns, so they soon added the “s” to their name. They played a variety of music styles from pop songs of the 1940s through the Tijuana Brass, Everly Brothers, Chicago and the Doobie Brothers. They learned songs their parents liked. The Fabulous Unknowns were managed by S. P. O’Malley, who had moved to Winner from Yankton. He crafted their clean image, never allowing them any smoking or drinking from the stage. They always tuned their instruments before going on stage. This was more of a show band than a dance band. 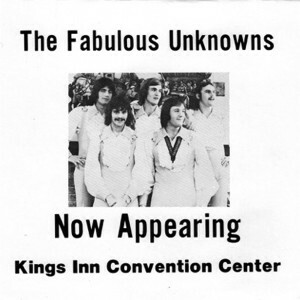 The Fabulous Unknowns performed outside of South Dakota but the Holiday Inns of Sioux Falls, Mitchell, Pierre and Spearfish were their repeat venues. The Kochi Inn in Yankton was also a favorite spot for the band. In April of 1974 their finals shows were at the Crest Show Lounge in Spencer, Iowa. Fun always was their priority and it showed through their appearances. Many of the members still are active musicians. The awarding of both the Frank Yaggie Award and the Cornerstone Award by the Yankton Chamber of Commerce have become highlights of the annual Chamber banquet. However, this year, it earned even more significance as the two awards were combined and presented to Dr. Wayne Kindle, superintendent of the Yankton School District, formerly of Winner. Kindle is a graduate of Winner High School and his wife, Marge (Olson) is also from the Tripp County area. According to the Chamber, the award winner must make significant contributions to the community by selfless acts of time and contributions throughout his or her life in Yankton. That vision and dedication to the betterment of the community must be evident through their daily lives, civic involvement and professional service. 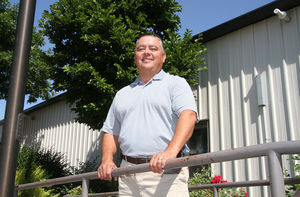 The individual must also contribute to the growth and success of Yankton. 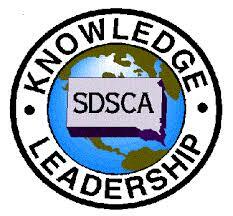 Kindle has received several awards including: 2015 Ivan Dixon Administrator Award for the State of South Dakota Student Council, 2006 Mental Wellness Diversity Award, 2004 Human and Civil Rights Award from SDEA, and Minority Leaders Fellowship Award. His professional and community involvement has included Avera Sacred Heart Hospital Board Member and Chair, Yankton Area Progressive Growth, Heartland Psychological Board of Directors, School Administrators of South Dakota, Association for School Curriculum and Development and Yankton Elks Lodge. Kindle has also served on several boards and organizations including the Citizens Task Force for Yankton County Courts and Public Safety, Yankton Area Foundation Committee, Mount Marty College Executive Committee, Mount Marty Student Affairs Committee, Mount Marty Trusteeship Committee, United Way Advisory Board, War Memorial Committee, SHOW Cap Committee, Yankton Morning Optimist, Yankton Child Protection Team and Native America Day Wacipi organizer. He said walking in the path of past and current Yankton leaders is also a challenge to do more. He said they also had another quality in common, they need to share any recognition received with others. “For them, it wasn’t about themselves, rather it was about what they could do for others,” Kindle said. That is a lesson he said he learned at a young age. Two Tripp County men were arrested for allegedly taking thousands of dollars worth of milo from an area grain elevator. Rodney Farley, 55 and William Whitaker, 54, both of Witten, were arrested in March and charged with taking $9,000 of grain from the Witten Elevator. On Feb. 19, Whitaker allegedly loaded up to four loads of milo onto a semi truck operated by Farley who delivered the milo to Dakota Mill and Grain in Presho under the name Advanced Grain Pricing. Whitaker was arrested on March 1 and allegedly told law enforcement he expected to receive “a couple thousand dollars” from Farley after the deliveries were made, court documents state. Whitaker said he did not receive payment and he regretted the decision. A warrant was issued for Farley and he was arrested a couple of weeks later. Farley is charge with grand theft by receiving stolen property and Whitaker is charged with grand theft by embezzlement. Valued between $5,000 and $100,000, charges are Class 4 felonies, punishable upon conviction by up to 10 years in prison and a $20,000 fine. Farley also faces an alternate count of grand theft. Bond for both men was set at $500 and both have been released. Farley and Whitaker are scheduled to appear in court in May. Several Winner High School students attended the 30th annual state convention of the South Dakota Student Council Association which was held in Rapid City April 9-April 11. Winner High School received the outstanding student council award. Abby Marts was elected capital region reporter and Gracie Littau was elected school representative. Also attending the convention were advisors Mona LaCompte and Lorna Phillips. The high school students honored Phillips at a pot luck on April 12. After eight years, Phillips is retiring as student council advisor. Taking her place is Lisa Jankauskas. Focusing on the theme “Lead Us West” the convention utilized a combination of breakout sessions and large group instructional presentations by their guest speaker and workshop presenters, which were focused on different aspects of leadership. The convention also featured a state-wide community service project. This project made over 60 fleece blankets that will be distributed among communities throughout the state. Perhaps the most inspirational moment during the state convention occurred as part of the closing general session when the student councils presented their checks for money raised as part of the SDSCA spring Children’s Miracle Network project. Winner High School student council helped raise money for Children’s Miracle Network. The Winner High School student council raised $750.